Having a retainer fitted can bring a wealth of benefits to your dental and oral health, not to mention your self-esteem. A retainer is a custom -made dental appliance such as a brace that is fixed to teeth to move or fix them into a new position. Retainers can be fitted on a temporary or permanent basis and can also be used to fix minor orthodontic problems, such as a misaligned bite. Retainers can be very effective in correcting dental irregularities and can quite literally change the way someone looks and feels about themselves. 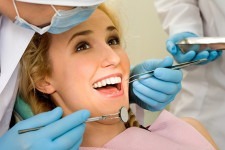 Taking care of your retainer is, therefore extremely important. They are designed to fit your mouth precisely and must be looked after to avoid damage such as cracks, chips or tears from appearing. When you have a retainer fitted, the dentist or orthodontist will take impressions of your teeth and take photos and x-rays to ensure the closest fit. Once the retainer is fitted, it works by applying constant pressure to slowly move the teeth into the desired position. 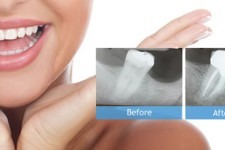 As the teeth move, the bone also alters, turning the readjustment into a permanent one over time. Retainers can be held in place by wires or metal brackets that attach directly to the teeth. They can be metallic in colour or, increasingly, clear or tooth-coloured to help disguise them. The amount of time that they should be worn varies from patient to patient, but sometimes treatment can last for months or even years, meaning that careful retainer care is crucial. First of all, it is very important that you do not let food and debris build up behind your fixed retainer, as this can cause decay, damage and a build-up of bacteria, tartar and plaque. 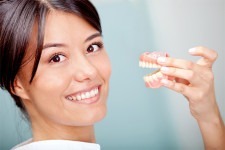 Make sure you know how to look after your retainer so that you can prolong its useful life. Brush your teeth after every single meal and use a fluoride mouthwash too, to remove every trace of trapped food. Carry a toothbrush with you to make sure you can continue this routine on the move. Brush each tooth carefully, making sure that you cover the whole surface. Try not to brush too hard as this could bend or dislodge the retainer. 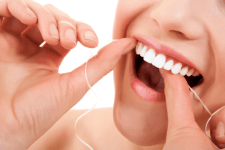 Use dental floss or interdental brushes to clean between your teeth, especially in areas where the retainer is fixed to, or wrapped around the side of a tooth. A thorough oral care routine like this will not only help to safeguard the condition of your teeth underneath the retainer but will also help keep the retainer itself clean and hygienic while it is in your mouth. If you are wearing a removable brace, retainer care and cleaning your teeth can be easier to achieve, as you can take the retainer out of your mouth altogether before starting to brush the teeth underneath it. Always keep your retainer in its protective case whenever you are not wearing it. Rinse it under warm water before you pop it back in your mouth, for example, after eating, or first thing in the morning, to minimise the transferral of bacteria. Soak your retainer in a retainer cleaning solution for about 20 minutes once a week, immersing it fully to avoid missing any hidden debris or dirt. Alternatives to a commercial solution include baking soda, mild vinegar or denture tablets, dissolved into some warm water. To remove stubborn, stuck-on food, or if you feel your retainer needs an extra clean, brush it carefully all over with a toothbrush and water before drying gently with a soft towel. Never immerse your retainer in very hot water, as this can warp the plastic components and bend it out of shape. Plus, it makes it very hot to the touch, which could burn your fingers when you try to pick it up. Try and resist the urge to fiddle or play with your retainer, whether it is inside your mouth or in its case. This could break the delicate springs and wires and prove costly to replace. Never let anyone else try it out in their mouth and report any damage to your dentist or orthodontist as soon as it occurs. 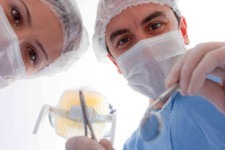 Always listen carefully to your dentist or orthodontist when they are instructing you on how to wear and look after your retainer. They will be able to give you advice on keeping it clean and undamaged so that your treatment is fully effective and your time wearing the retainer as trouble-free as possible. If wearing a removable retainer, take it out before you eat and always keep it in its protective case, rather than a napkin or tissue that could easily be thrown away in error after the meal. Use a mouthguard to protect a fixed retainer during contact sports and always swill out your mouth with some water and/or mouthwash after consuming fizzy sodas or sweetened drinks. 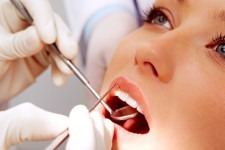 Consult your dentist r doctor if you are unwell with a cold or infection that affects your mouth or throat to make sure that it is still in your best interests to wear your retainer, or whether you should remove it until after you have recovered.